LAHORE: (Thursday, November 15, 2018): Punjab University has signed a memorandum of understanding with Camões – Institute for Cooperation and Language Portugal. 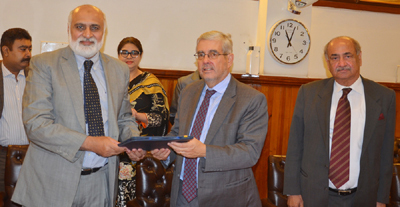 In this regard, an MoU signing ceremony was held at PU Vice Chancellor office committees room here on Thursday. 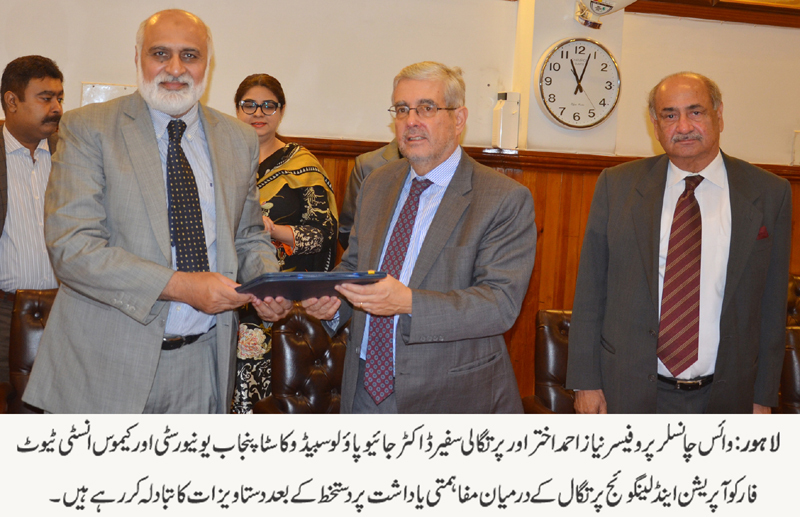 Punjab University Vice Chancellor Prof Niaz Ahmad Akhter, Ambassador of Portugal Dr. Joao Paulo Sabido Costa, Dean Faculty of Oriental Learning Prof Dr Muhammad Saleem Mazhar, Director Alumni Dr Fouzia Hadi Ali and others were also present on the occasion. According to MoU both the institutes will work together in the fields of mutual interests. Dr Sabido lauded the efforts of Punjab University for the promotion of Portuguese and other languages.